The Henry Cort Community College is keen to be part of the world and has many international partners. 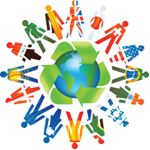 Across all departments in the school, we are keen to promote awareness of different cultures throughout the world. During the school year, we organise various international activities to include all members of the college. Students at The Henry Cort Community College are offered the possibility to exchange letters and meet other students from France, Germany, Ethiopia and South Africa. The Henry Cort Community College is also pleased to support International Charities such as Wateraid and raise students’ awareness of International issues in order to foster understanding.